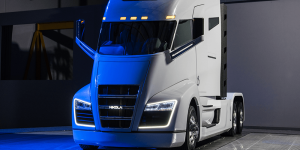 Nikola Motor announced battery electric variants for their hydrogen trucks Nikola Two and Nikola Tre, which will be offered in addition to the fuel cell versions. 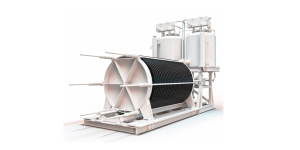 There will be three battery capacities to choose from: 500 kWh, 750 kWh and 1,000 kWh. After Nikola Motor had issued a patent infringement claim against Tesla for “substantial” design inspiration, which they came from the Nikola One, Tesla has now received official design patents for the Semi. 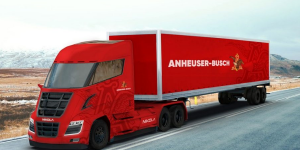 Nikola Motor has received a large order from the US beer magnate mostly known for their Budweiser. Nikola will deliver up to 800 fuel cell trucks, which will be integrated into the Anheuser-Busch fleet as of 2020. 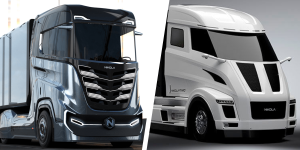 Nikola Motor has filed a lawsuit against Tesla claiming the Semi electric truck to be “substantially” similar to Nikola Motor’s own design of a fuel cell electric semi truck. In the filing, the infringement is estimated to be worth a loss of 2 billion dollars to Nikola. Tesla denies the allegations. 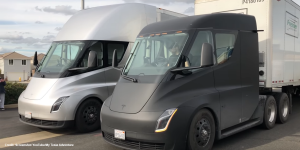 US startup Nikola Motor has announced they will refund all deposits for the pre-orders of their electrified trucks within the next 60 days, without the pre-order applicants losing their place in the production line. It is a show of strength. Nikola Motor announced plans to set up shop in Arizona to make its H2 semi truck. A new factory will be build close to Phoenix from 2019 with production to start 2 years later. The start-up earmarked 1 billion dollars and says it will create 2,000 jobs. Nikola Motor has launched the Nikola NZT previously known as Nikola Zero. 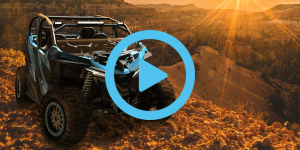 The all-electric UTV has a range of 240 kilometres and shall hit the shelves in early 2019 with production to start late next year. 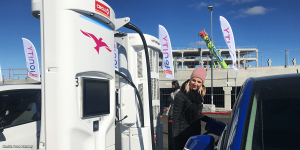 Nikola Motor has chosen Norwegian Nel ASA as exclusive supplier of components for 16 hydrogen stations. 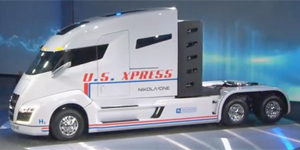 As reported, the U.S. start-up plans to launch a hydrogen-fuel-cell electric truck by 2020 – the Nikola One. Click tip: Nikola Motor has been making progress on its hydrogen semi-truck. New renderings reveal the interior, including two bunk beds that could come straight out of Star Trek. Video tip: Jodi Lai takes this review of the Hyundai Ioniq as an occassion to bust five myths about electrified cars starting with range and availability of charging stations. Vanda Electrics, Airbus, Nikola Motor, Mayflower. 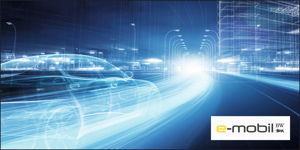 Giving a glimpse: Vanda Electrics from Singapore is showing first teaser images of its electric sports car, developed together with Williams Advanced Engineering. The Dendrobium will be unveiled at the Geneva Motor Show in March. As reported, the company plans a small production series of 10 to 20 units in 2018. Flying taxi: Airbus CEO Tom Enders confirmed that first test flights with the all-electric and autonomous Vahana (we reported) are scheduled for this year. Next to the single-seat flying taxi, Airbus also plans on setting up a drone delivery service called Skyways and at a later date, the flying taxis service CityAirbus that can carry more than one person and will also be all-electric and autonomous. Nikola Motor update: The first 5,000 units of the fuel cell truck will be built by company Fitzgerald Glider Kits in Tennessee. Thompson Machinery and Ryder Systems will be in charge of sales and distribution. Meanwhile, Nikola Motor wants to invest 1bn dollars in a new research and development centre, as well as its own production line that could churn out 50,000 fuel cell trucks per year. Nikola says it will pick a location by mid-2018. Futuristic celebration of the past: For the 400th anniversary of the Mayflower crossing the Atlantic, another vessel will set sail from Plymouth to New England in 2020. Only this one will be fully autonomously and will get its energy from renewable sources such as wind, solar and hydrogen. Nikola Motor, Girfalco, Tesla, CarTube. Nikola Motor unveils hydrogen-electric truck: The Nikola One prototype features a 320 kWh battery pack an fuel cell drivetrain and will be available from 2020. It has a total output of 735 kW and is said to go up to 1,900 km on one charge. Nikola will offer a leasing option that will include unlimited hydrogen fuel, guarantee, and servicing for 72 months. 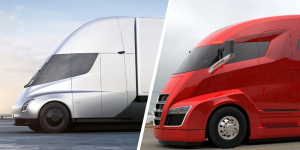 Moreover, the company pledged to install more than 350 H2 fuelling stations in the U.S. and Canada from 2018, and already announced a smaller non-sleeper cab version called Nikola Two. Three-wheeler from Canada: Girfalco has officially presented its Azkarra S (we reported). 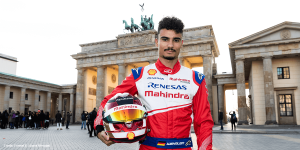 The electric car boasts 225 kW and will go from 0 to 100 kph in just 2.5 seconds, supposedly making it one of the five fastest production cars. Top speed is set at 240 kph, while the three-wheeler will go 200 km on one charge. Pre-orders will be accepted from January. Dropping battery prices: Considering the price of the Powerwall 2 and estimated cost per warranted kWh, electrek tries to figure out, how much the cost/kWh for Tesla cars must be. 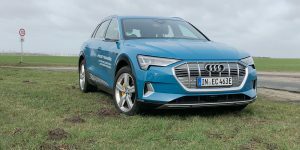 About six months ago, the carmaker said it reached “less than 190 dollars per kWh,” now it could already be at 120 dollars. New Underground: A new concept called CarTubes by PLP Architecture puts vehicles in London under ground. It’s essentially a subterranean conveyer belt. No matter if you are in a taxi or your own car, you must book a time slot, saying where they want to start and get off. 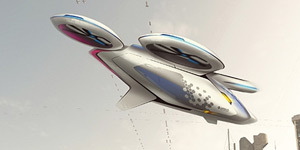 According to its designers, it would not only cut congestion and emissions, but also travel time. 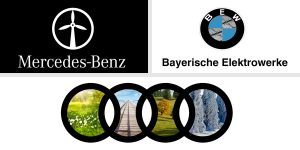 Zinoro, Daimler, Nikola Motor, Tesla Model X, Volvo, Toyota. New Zinoro-Model: The Chinese joint venture by BMW and Brillance presented the Zinoro 60H, a plug-in hybrid SUV based on the BMW X1 with a long wheel base. The 60H boasts 151 hp and has an all-electric range of 60 km. A fully electric version is allegedly in the cards. 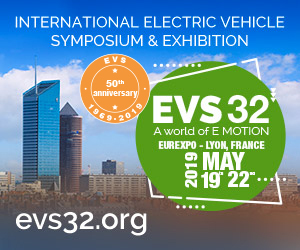 Daimler expands hybrid offering: Mercedes will launch its seventh and eighth PHEV this year, namely the GLC Coupé 350 e 4MATIC and the E 350 e. The latter will feature the automatic drivetrain 9G-Tronic and the newest generation electric motor. 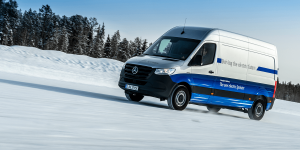 Moreover, the E 350 e will have a towing capacity of up to 2,100 kilos. E-truck a success: Some 7,000 chargeable pre-orders worth more than 2.3bn dollars of the announced Nikola One have already been placed, says the manufacturer. And that, even though all people have seen so far is a rendering of the electric truck, as it won’t be presented until December. The Nikola One is fitted with a natural gas range extender, giving it a range of 2.000 km. Blinded by the light: Because Tesla Model X drivers in the U.S. complained that the sun shield of the SUV’s panorama windshield is not sufficient, the EV maker is supplying larger ones free of charge. Whether the offer is also available outside the U.S. is not clear. Polestar power for Volvo plug-in: The Swede’s Polestar Performance Optimisation will also be available for the plug-in hybrid version of the XC90 from August, making it “the most powerful Volvo ever.” For 1,200 euros, the PHEV’s output can be increased to 421 hp and 680 Nm torque with a software update. The cheapest: Starting at just 26,990 Australian dollars, the new Toyota Corolla hybrid is the most affordable on the Australian market. 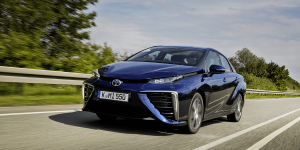 It is the Japanese’s fifth hybrid, joining the Prius, Prius c and v, as well as the Toyota Camry.